For starters, John Coltrane and the 50th anniversary of his composition “A Love Supreme” will be celebrated in a series of in-museum, online and community events developed by the Smithsonian Institution’s National Museum of American History beginning Wednesday March 26, according to museum information, with a webcast at 11 am of a private Jazz Appreciation Month launch ceremony at the museum. “A Love Supreme” is Coltrane’s musical hymn, says Smithsonian information, “about the transformation that faith and music sparked in his life … [his] musical declaration of spirituality and faith in a loving God who supported him through drug addiction and other human failures. The original “A Love Supreme” music score will be on exhibition in “American Stories” at the museum through June 17. A specially created image of Coltrane by artist Joseph Holston graces the Smithsonian’s Jazz Appreciation Month commemorative poster. Also Wednesday March 26, the Ravi Coltrane Quartet performs in honor of the anniversary of “A Love Supreme” at 7:30 p.m. at Lisner Auditorium, presented by the Smithsonian National Museum of American History and the George Washington University music department. Tickets are free with RSVP; go to www.lisner.gwu.edu/ravi-coltrane-quartet for complete information. JAM events at the Smithsonian begin with a workshop at 1:30 pm and a concert at 6 pm on April 4 by Bobby Sanabria and Quartet Ache in the Warner Brothers Theater at the American History Museum. For more information on the webcast, go to www.smithsonianjazz.org. Restaurant in Northwest D.C. March 26, April 16 and 30. Also coming up this week are shows Wednesday March 26 by the Charles Rahmat Woods Trio at Maggiano’s in Northwest DC. 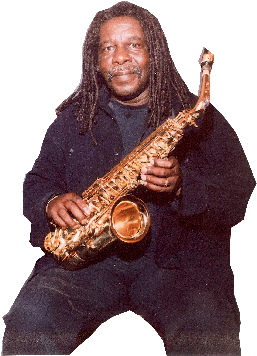 Woods, the multi-talented flute, sax player and bandleader, has recently released his solo CD, “The Language of Birds” on his Rahmat Shabazz (www.rahmatshabazz.com) label. The recording, flavored with Native American and African melodies, is a “Jazz meditation,” says Woods, with his flute and saxophone playing weaving an artful, spiritual journey. Stay tuned for more on “The Language of Birds” and Woods, who is also scheduled at Maggiano’s April 16 and 30. Also Wednesday March 26 is a performance at the Howard Theatre of Indigo Love & The Renaissance Trio featuring Nasar Abadey, Allyn Johnson & James King, as part of a series of Jazz at the Howard shows. Other shows in the series are Jon Batiste & Stay Human March 29 and sax legend Gato Barbieri April 10. 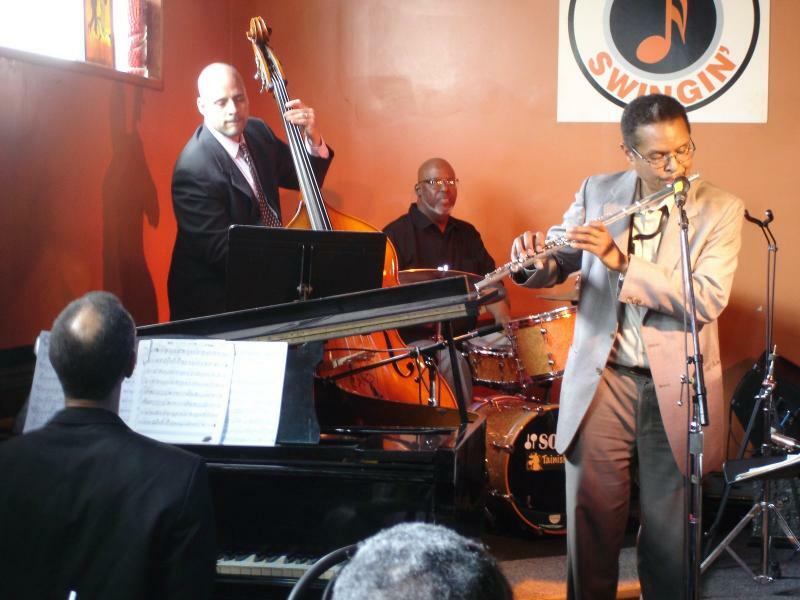 Thad Wilson’s Big Band is at Columbia Station March 27, and also April 3, while The Loews Madison Hotel features Veronneau March 27, Lyle Link March 28, and Marshall Keys April 5, with young lion sax man Elijah Jamal Balbed returning to the Loews Madison April 11. 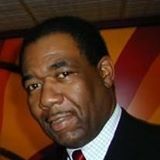 The Greater U Street Jazz Collective, still receiving acclaim for its “Balling the Jack” CD, is at Twins Jazz March 27; the Antonio Parker Jazz Quintet is at Westminster, Bassist Kris Funn performs at the Hill Center March 28; and multi-dimensional pianist Tim Whalen is at Twins Jazz March 28-29. Up the road a bit, the Steve Davis and Larry Willis Quintet performs March 30 at Caton Castle (www.catoncastle.com) in Baltimore and Transparent Productions jazz at Bohemian Caverns March 30 features vocalist Leena Conquest. in residence on Tuesdays in April at Bohemian Caverns. Thad Wilson is also at Bohemian Caverns on Tuesdays in April beginning April 1; Pianist Janelle Gill performs in Burnett Thompsons’s Piano in The White House Series April 3 at the David M. Rubenstein Center for White House History at The Decatur House at Lafayette Square, focusing on the late Marian McPartland’s 1998 White House performance. For more information, contact Burnett@PianoJazz.com. Vocalist Krislynn Perry is at the UDC Recital Hall April 7 and the Atlas features Andriessen’s Piano/Andriessen’s Jazz with the Brad Linde Ensemble April 9. And don’t forget Cyrus Chestnut, April 10 at Blues Alley, Branford Marsalis April 12 at the George Mason University Performing Arts Center, and Transparent Productions’ show April 13 at Bohemian Caverns featuring Adam Rudolph’s Moving Pictures, a diverse and multi-instrumental event. Carl Grubbs lifted his alto sax and speared the air in the Randallstown Community Center auditorium with plaintive cries on “Softly As in A Morning Sunrise,” and pianist Eric Byrd added his own melodic touches while bassist Blake Meister wove a bluesy symphony of his own to highlight the opening of a special Black History Month show Feb. 28 in Randallstown, just outside of Baltimore. Carl Grubbs played Feb. 28 in Randallstown. That night Grubbs featured special guest violinist John Blake Jr., himself a history lesson. It was Blake’s singing violin that helped take “Sunrise” out in swinging fashion. Drummer John Lamkin III highlighted “Summertime,” deftly meshing with Blake’s lullabies on violin, before Grubbs stepped things up with some urgent riffs and squeals on his alto. The group entertained the large crowd with a bluesy, funky “Hard Times” and a rousing “All Blues,” among other tunes, making for a thoroughly jazz evening that drew long applause and cheers from the audience. On a rainy night March 19, the night before spring, per the calendar, bloomed, a sterling ensemble of women musicians flowered the cozy Union Arts space on New York Avenue in Northeast D.C. with some bright, jazzy, edgy and warm sounds for the Washington Women in Jazz Festival’s gala night co-sponsored by CapitalBop. One might close their eyes and throw out gender labels when recalling the artistry that night, with festival founder and pianist Amy K. Bormet and drummer Allison Miller leading their band mates, kicking things off on guitarist Mary Halvorson’s Latin-flavored “Hemorrhaging Smiles,” that had Miller pushing and pounding things along on drums, Bormet accenting with her piano melodies with trumpeter Jamie Branch providing the fire with her trumpet lines, and harmonizing with saxophonist Sarah Hughes. Halvorson spiced things up even more with her stinging and jaunty lines on guitar. “Lullaby” featured Halvorson’s sometimes sardonic guitar lines weaving in and out of the horns’ harmony, over Miller’s cymbal work and Bormet’s twirling notes on piano. Hughes highlighted “Forgiveness,” with some bluesy, abstract grooves and bassist Karine Chapdelaine’s lyrical lines. Other numbers featured Bormet with edgier sounds of her own on piano, as on “Syracuse,” spiced by the horns of Branch and Hughes and Chapdelaine’s bass over Miller’s always vibrant drumming. 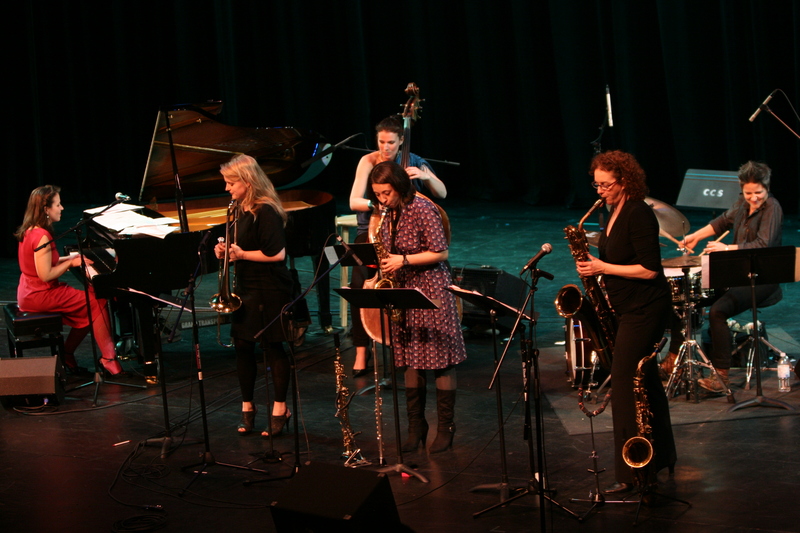 her Washington Women in Jazz all-stars in 2012. 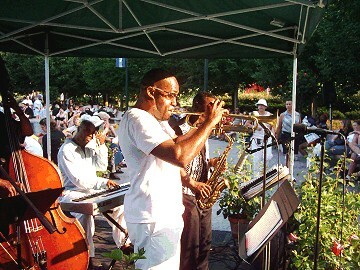 Bormet’s festival, in its fourth year, had other highlights during its week at various sites, including shows by vocalist Integriti Reeves at Bohemian Caverns and the big band sounds of Shannon Gunn and her Bullettes at Westminster Presbyterian Church. What pianist Romain Collin has crafted in his new CD “Slow Down (This Isn’t The Mainland)” with his group, The North, with Shawn Conley on double bass and Abe Lagrimas Jr. on drums, is a finely textured work of melodic good feeling. Collin, heard last year at Bohemian Caverns, is the native of France who has fashioned some intriguing albums and performances in recent years. And, impressed with their playing, a CD was born, lushly inspired by their Hawaii location, Oahu’s North Shore. As a result, “The North” has plenty of blue water and blue skies and white puffy clouds, for instance, as we glide along “Great Ocean Road,” and meander during “Slow Down,” but it also has some bite to it. “Humpty Dumpty” sings a vibrant song with Conley’s double bass bowing a particular highlight, and Collin’s quicksilver riffing on piano over Lagrimas Jr.’s deft work on cymbals. Collin’s clear, crystal touch is his calling card throughout, brightening another highlight of the disc, “Dowsett Avenue” a jaunty, lilting rocker, and the Thelonious Monk tune “Light Blue,” which becomes an appropriately melancholy waltz, and the graceful “Northern Dreams,” which, in its dramatic directness maybe the high point of the recording. 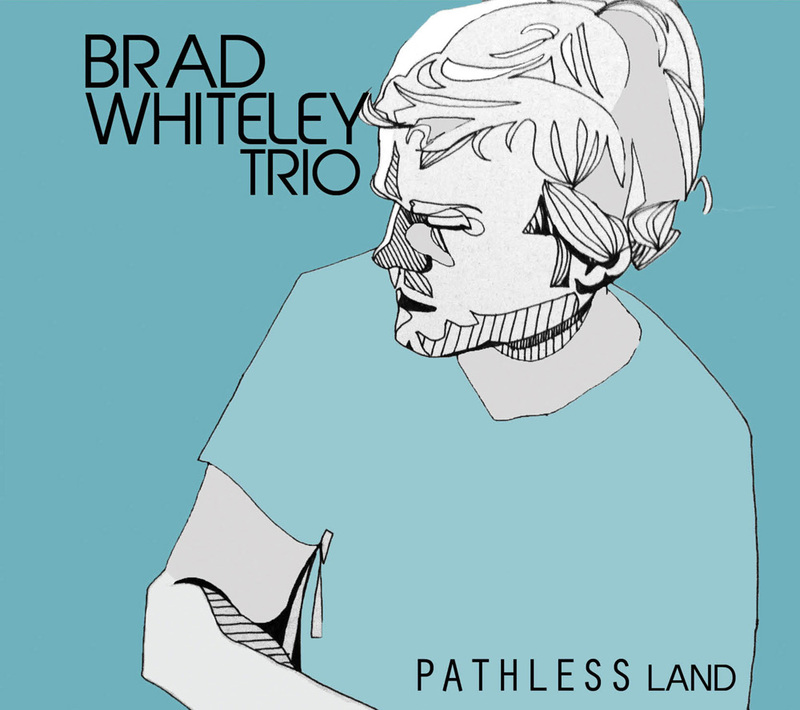 Proving at home on piano and organ on the recently released “Pathless Land” on the Destiny Records label, Brad Whiteley on the organ especially entertains us geezers who cut our listening chops on the organ masters of old like Jimmy Smith, Richard “Groove” Holmes, Jack McDuff, Charles Earland and others. And Whiteley on piano creates some impressive lyrical runs of artistry. 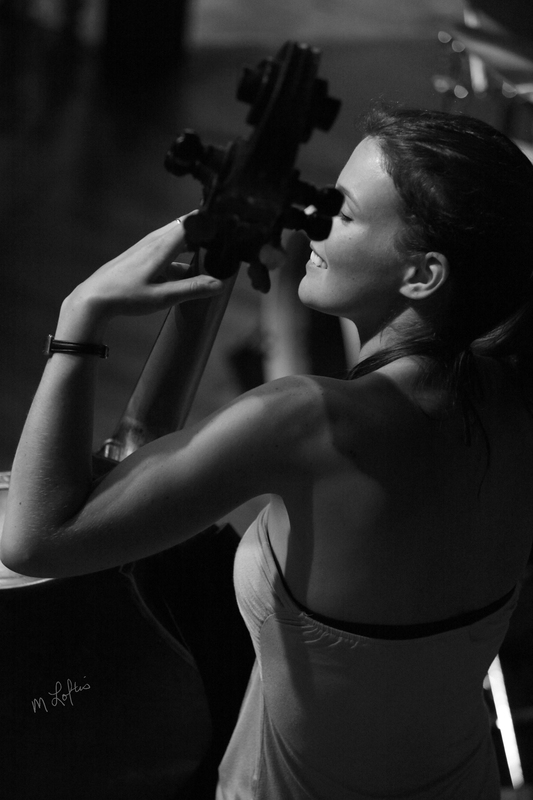 Whiteley has fashioned a long career as a “musically diverse” sidemen, says the CD’s publicity, having played with those like Christian McBride, Maria Schneider and others in jazz, and also groups in the pop and rock world. His piano mentors include Fred Hersch and Jason Moran and he cites Mike LeDonne, Sam Yahel and Melvin Rhyne as organ influences. Highlights of “Pathless Land” begin with “Erika’s Song,” a pretty, lilting waltz-like number that previews Whiteley’s darting piano touch. Things get moving on “Come Rain or Come Shine,” with Whiteley digging in on organ to propel the standard into a bristling romp, powered by Daniel Foose’s nimble, grooving touch on bass and Kenneth Salters’ deft comping on drums. Guitarist Andrew Lim accents the tune perfectly with his slicing spirals through the melody and beyond, and Whiteley’s arrangement slows the tempo in the middle then ramps it back up for a solid reading of a jazz warhorse. “No Regrets” again provides a showcase for Whiteley’s piano charms, and his compositional skill, with him and Foose trading riffs expertly. “Nostalgiastic” is another organ romp, this one Whiteley’s own, with a deeply bluesy and soulful blend. And “Brooklyn Hustle” steps up the organ groove again, Lim again helping the group romp through another taste of hard-charging jazzy soul.